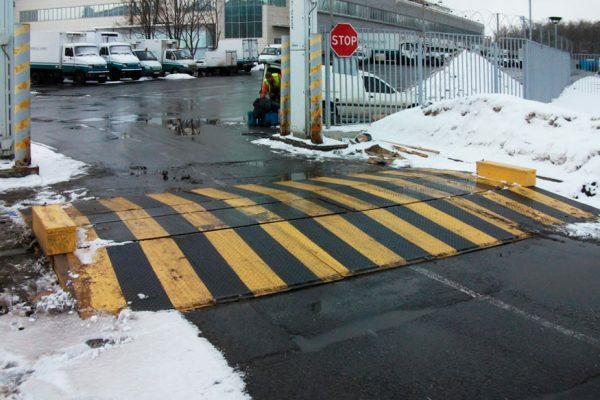 Government security and counter terrorism policy necessitates installation of Road Vehicle Stopping Points (the abbreviated Russian term is ПОКАТ) to protect government sites, energy, oil & gas, rail and road sector facilities, trade centers, office buildings, banks, car dealerships, services, manufacturing yards, health care and education facilities, health resorts, cottage villages, stand-alone buildings, warehouses, etc. 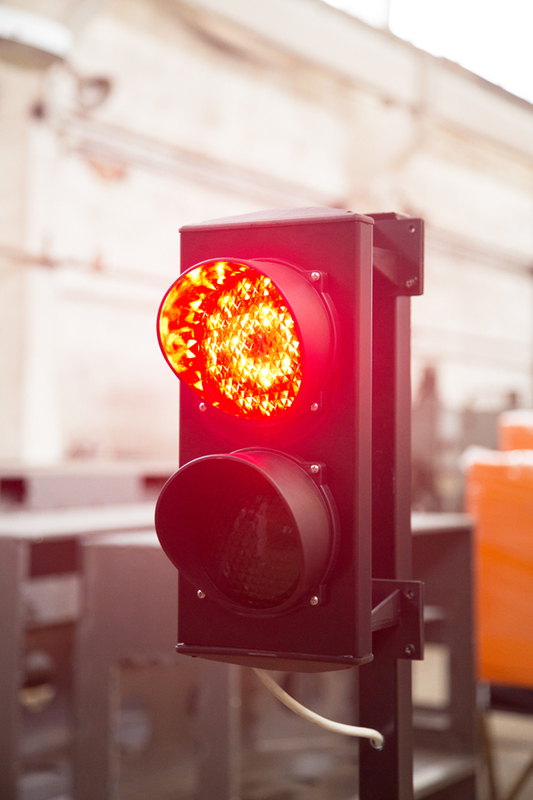 In line with competitive procurement law, bidding documents provide technical specifications to be met by goods being procured; this also applies to a road vehicle stopping point in question; bidding documents may contain references to the product analogues available in the market. 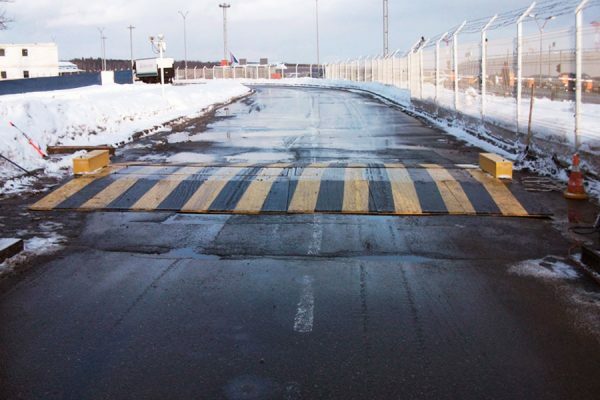 According to the Russian Federation government decree No.333 dated 15.05.2010, a road vehicle stopping point (anti-ram unit – road blocker) «ПОКАТ-3000У» is listed among specialist means used by departmental security of the RosAtom State Nuclear Energy Corporation «Росатом». 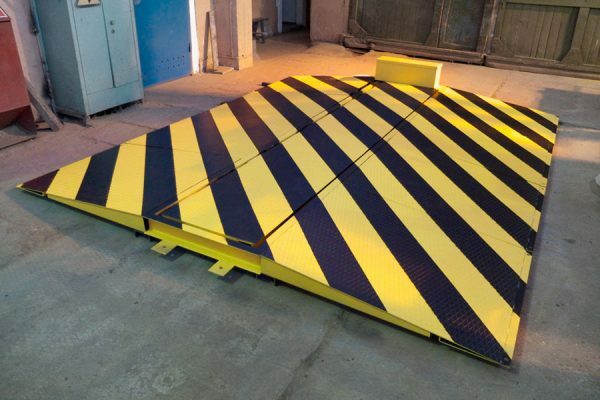 Besides, ПОКАТ-3000У blocker, along with its modifications, ПОКАТ-4000У and ПОКАТ-5000У, has been recommended for installation by companies such as RosNeft and selected MIA (police) units, and regularly appears in queries made by public enterprises and departmental divisions participating in competitive public procurement. For more than 20 years our company has designed and manufactured non-standard metal products and is ISO-9001certified; we cooperate with many Russian and western companies (here is the list of our clients); we manufacture our own model of the road vehicle stopping point (ПОКАТ), «ДБЗ-М», originally designed to fully meet technical specifications of its analogues: «ПОКАТ-3000У», «ПОКАТ-4000У» и «ПОКАТ-5000У». 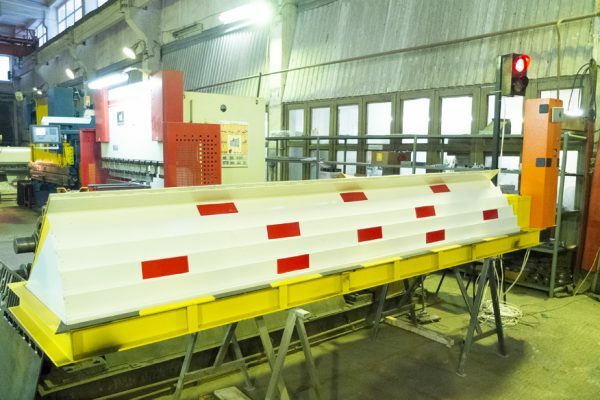 We have improved a number of parameters to strengthen anti-ram properties: for instance, we increased the weight of the blocker rising element that takes the immediate impact, and made the blocker design simple and easy to maintain. 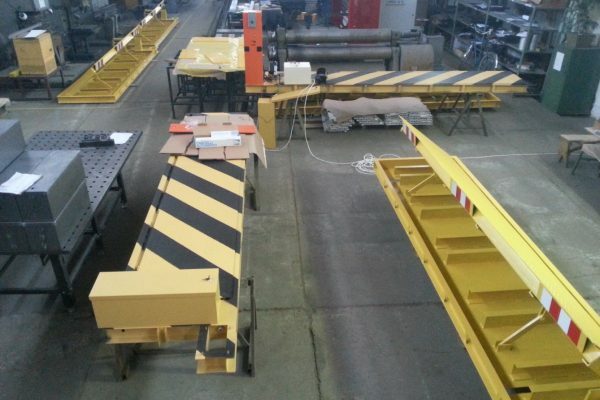 Blocker installation can be performed by any construction company or by yourselves without needing to go through any certification or training process, and with no special requirements from our side. 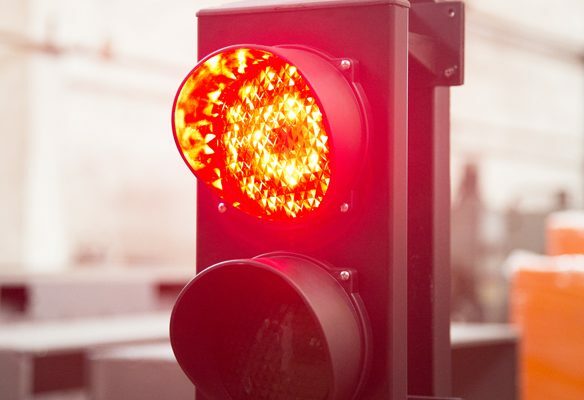 To install, connect and reliably operate the blocker one only has to follow the installation guide, provided on our website. 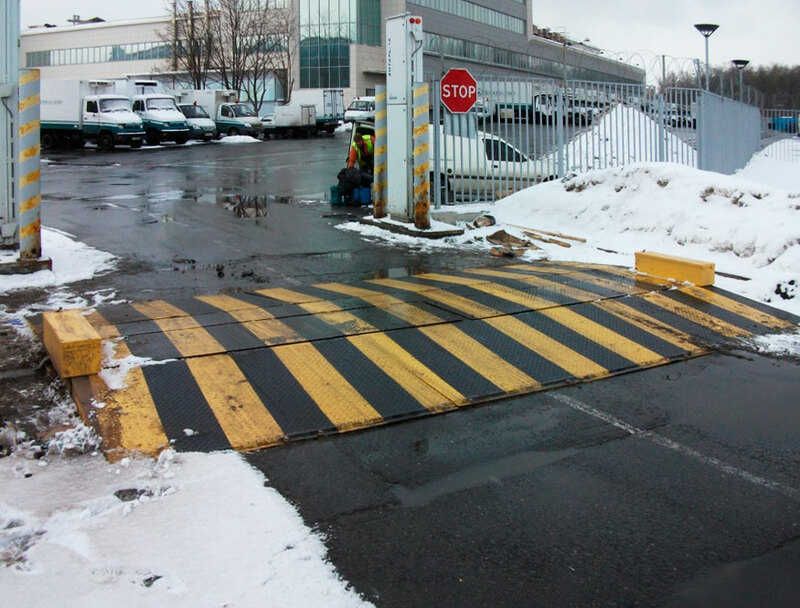 The service life of our road blocker can be substantially extended by anti-corrosion coating using hot zinc galvanizing. It should be noted that the road vehicle stopping point (ПОКАТ) performs mostly deterring function as tests have shown that the maximum damage is the vehicle’s deformed front suspension and complete destruction of the stopping point itself. 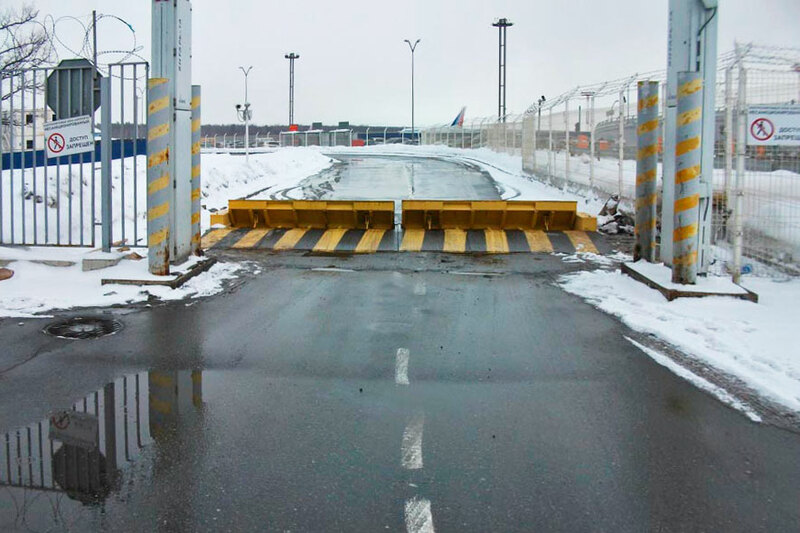 As a result, the passage is left unprotected, for it no longer matters in what shape a loaded truck reaches the facility. 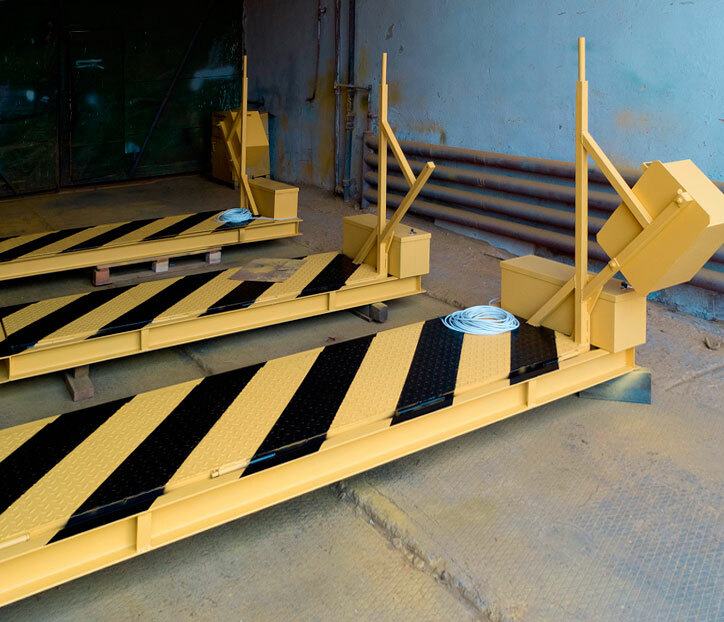 With this in mind, besides the road vehicle stopping point, we offer design, manufacturing and testing of anti-ram units capable of stopping different vehicle types in front of the blocker or in the immediate vicinity of the entry point. 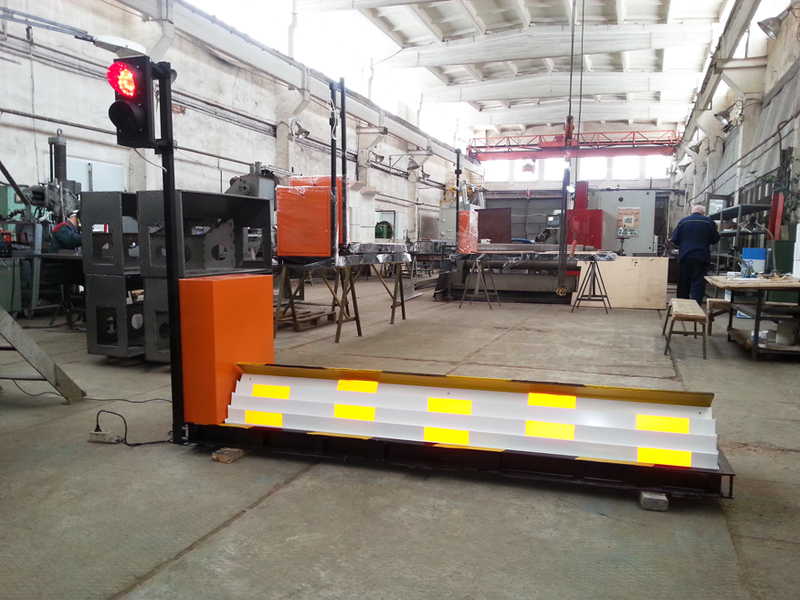 Should your choice be the road vehicle stopping point, we are happy to offer the «ДБЗ-М-ХХХХ» model of our own making. 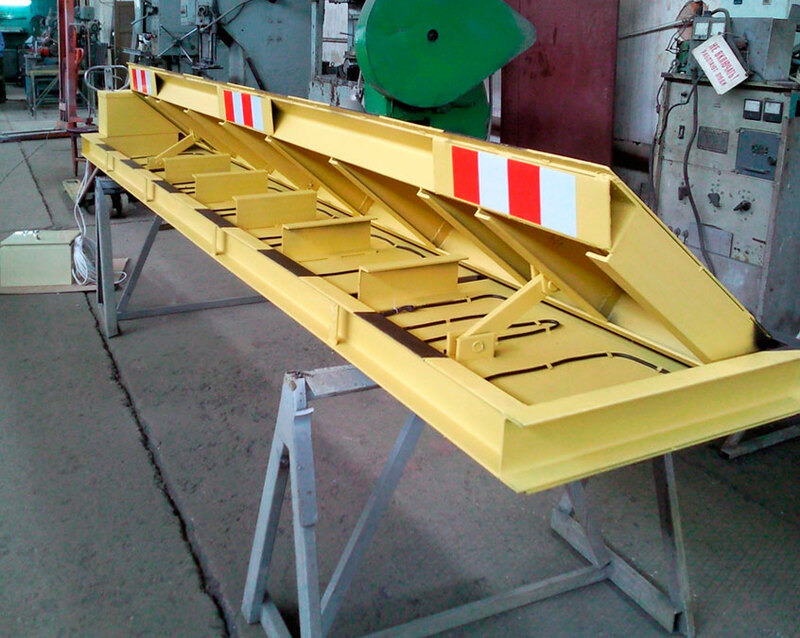 Please take a look at the specifications..
To meet your needs, we manufacture road blockers of any width. 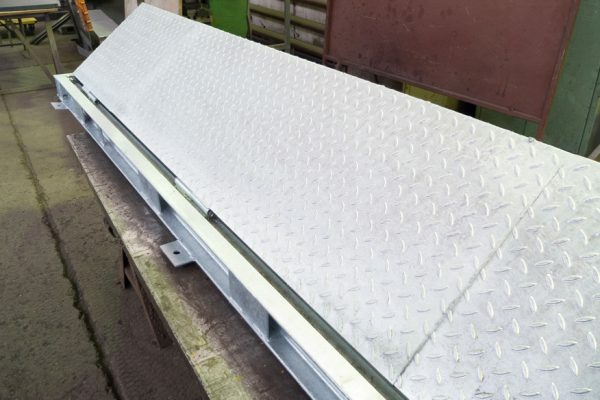 Standard sizes that you can calculate yourselves on the order page have a factor of 500 mm. Our blockers have been certified. Certificate of Conformity (893 KB). 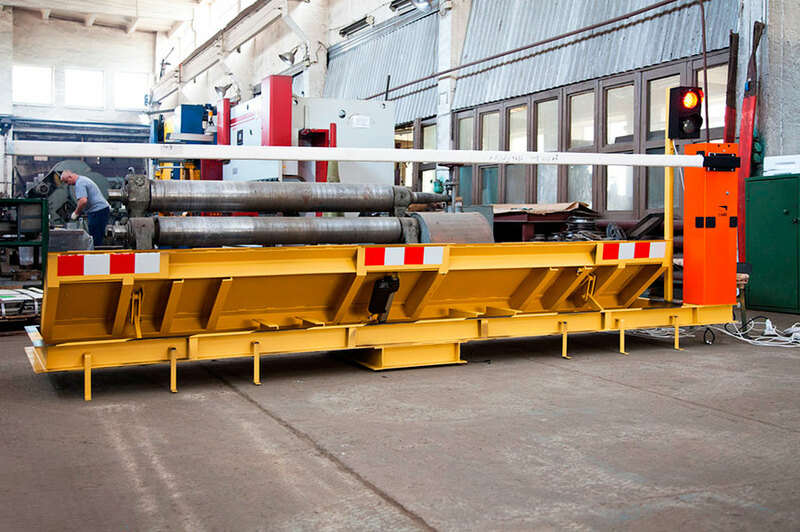 The road blocker structure, damaging the vehicle’s front axle, forces it into a halt over a certain distance. 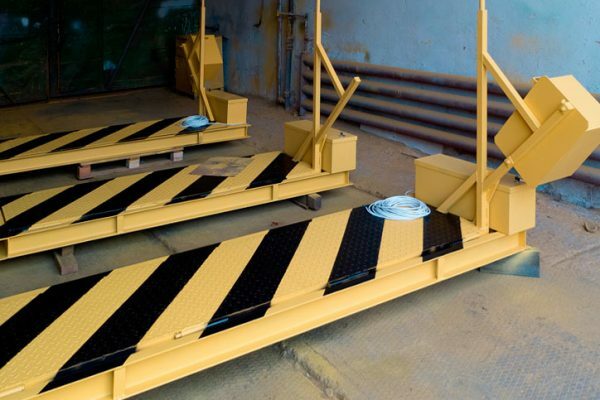 It is not recommended to install these units in the immediate vicinity of the guarded facility. Otherwise one must do everything possible to minimize the vehicle speed before it hits the blocker. 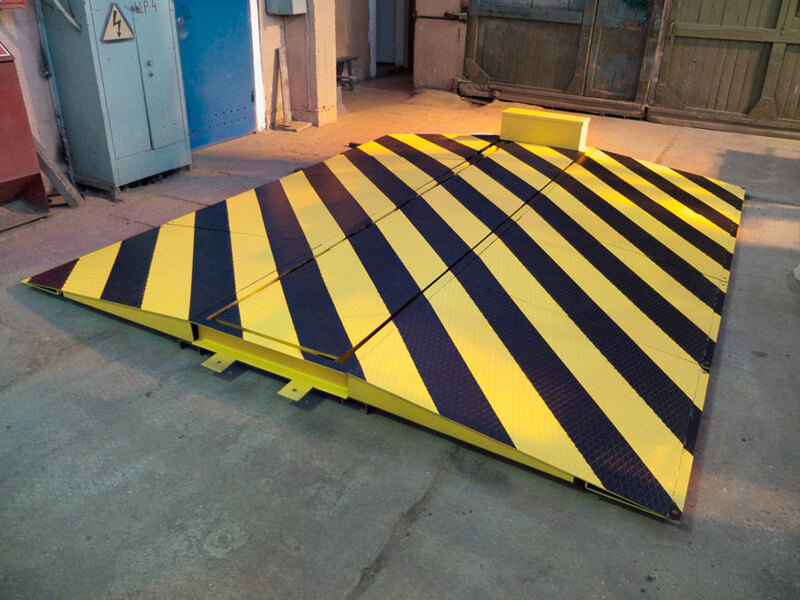 The blocker rising height is 450-500 mm, allowing it to counter vehicles with wheel diameter of 900 mm. 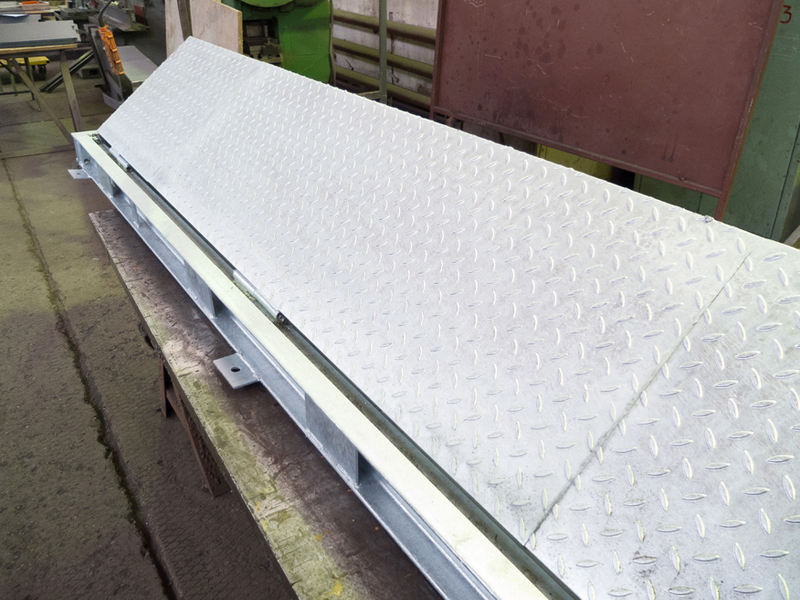 This covers all low-tonnage vehicles, passenger cars and trucks of no specialist designation. 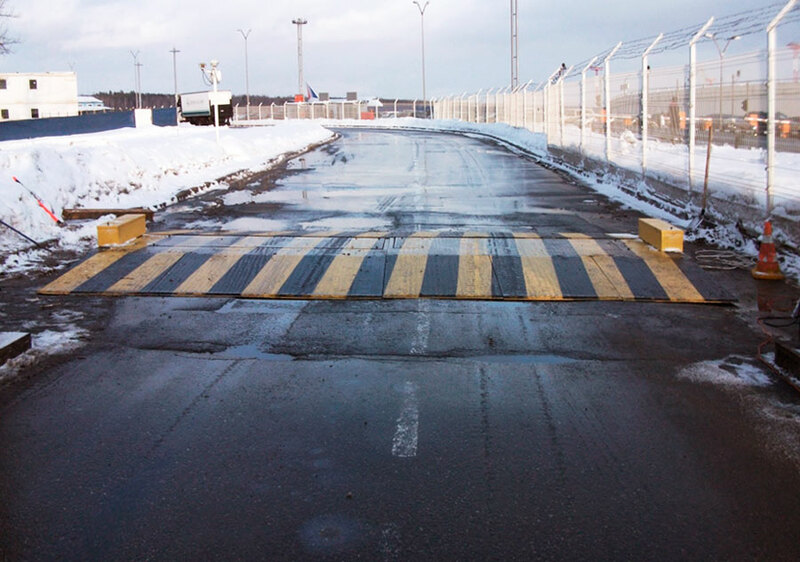 A vehicle with larger wheel diameter can roll over the barrier at slow speed. 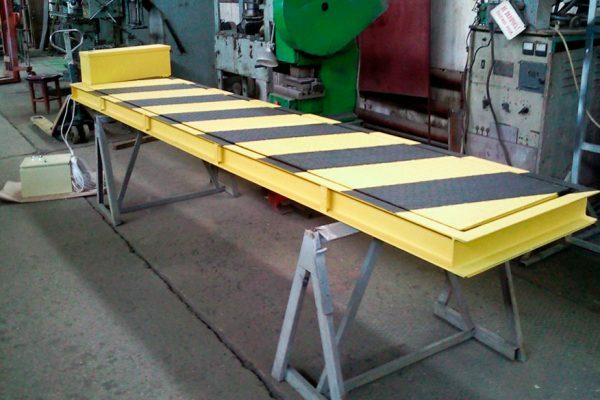 The important point is to follow the blocker installation guide, namely, to reliably secure the blocker on its foundation. This substantially increases the ability to counter intrusion attempt. 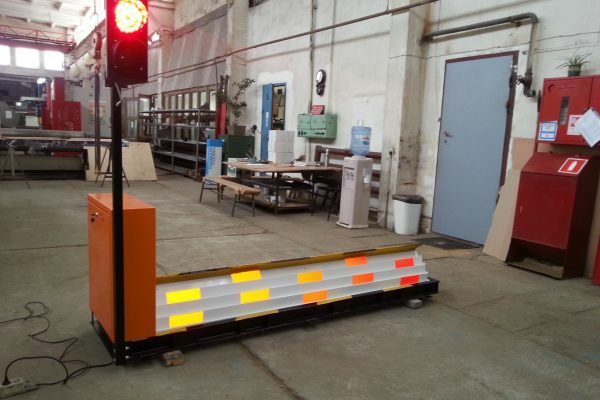 The road blocker becomes an insurmountable obstacle for passenger cars and light-duty vehicles. Heavy vehicles get their chassis and suspension completely destroyed, yet given the blocker height and the truck’s momentum, debris gets scattered for a few dozens of meters along its trajectory path. 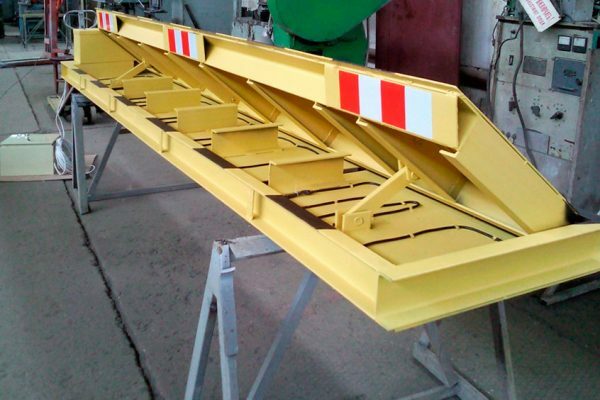 This blocker type is not suitable for combat operation areas; it can stop neither all-terrain vehicles such as «URAL-4320» with wheel diameter of 1200 mm, nor crawler vehicles. 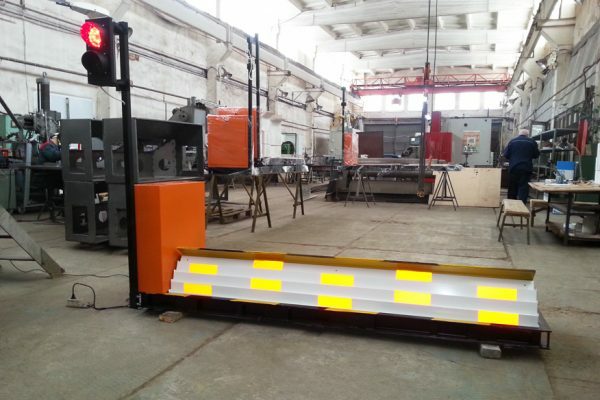 In most cases the blocker gets completely destroyed once operated, leaving the passage open to a new attack. For our part, we consider this barrier a primitive means of protection, and for a real threat scenario recommend installing anti-ram units with the power to stop a hostile vehicle in front of it (i.e. 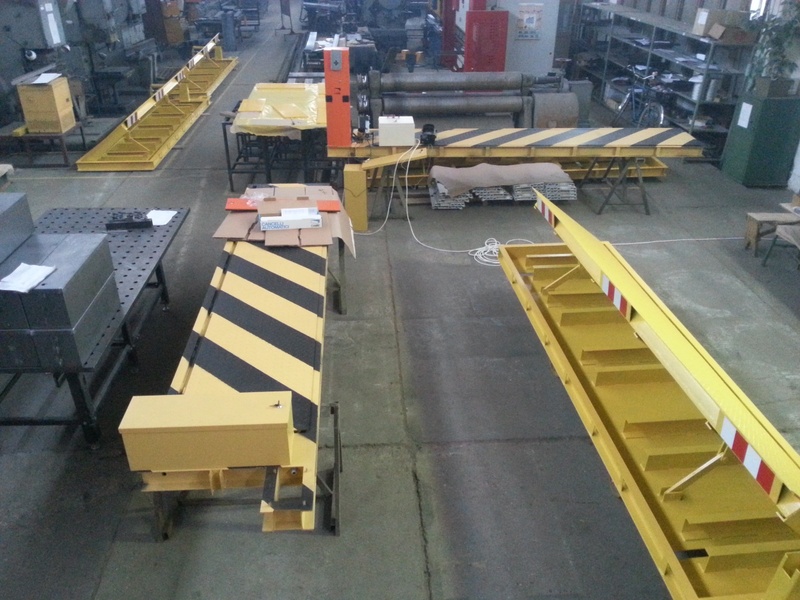 before it enters the premises) and remain operable once cleared and inspected. 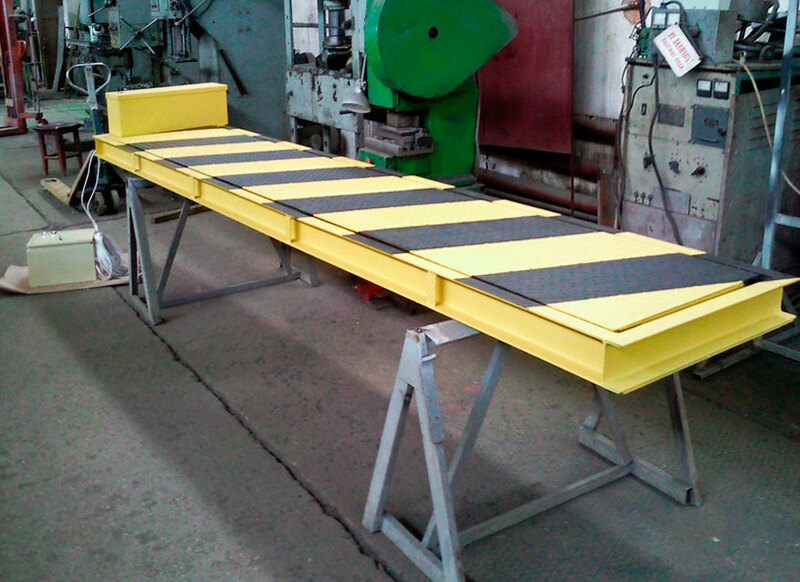 STOPBASE blocker basic model (yellow) with electromechanical drive vs. STOPMAX ruggedized blocker (white) with hydraulic drive and protective safety skirt. 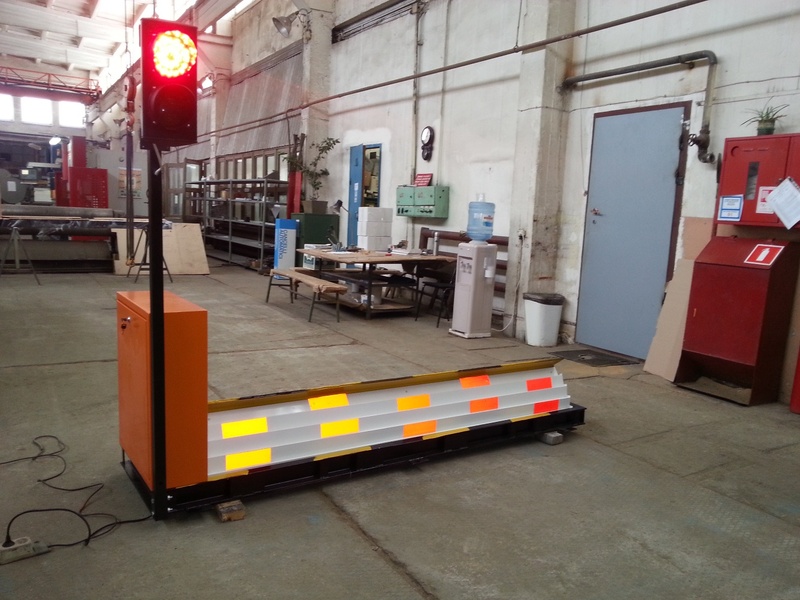 STOPMAX blocker is significantly more powerful road blocker model that stays operational after being attacked. Comparison of the blocker specifications: «Compare Blockers» (86 KB).